The rally cry 'The British are coming' has held true for this year's BAFTA nominees. BAFTA voters have backed British talent to an unprecedented degree this year, ignoring heavyweight American contenders like Bobby, Flags Of Our Fathers and Blood Diamond in favour of homegrown films. Helen Mirren had long been considered a Best Actress favourite for her performance in The Queen but the film's leading tally of ten nominations is a huge endorsement of a great British success story. The real surprise of the nominees was the nine nominations for Casino Royale. The Bond films are one of the most successful franchises in cinema history but in BAFTA terms hadn't been nominations gold. All that has changed with Daniel Craig's Best Actor nomination, marking the first actor in the franchises' 45-year history to have won such recognition. BAFTA voters have historically taken pride in offering a level playing field to all films and eschewing special treatment for indigenous productions. That means that nominations are achieved on merit, against stiff international (and Hollywood studio) competition. It may also mean that British films have learnt that in order to stand a chance of nominations you have to campaign. This year, The Queen, The Last King Of Scotland (5 nominations), United 93 (6 nominations), Notes On A Scandal (3 nominations), Venus (2 nominations) and The History Boys (2 nominations) have all been high-profile candidates supported by nationwide screenings, Q&A events, extensive 'for your consideration' ads and screeners sent to BAFTA voters. A film like Cannes prize winner Red Road saw less BAFTA campaigning, and only scored one nomination. The nominees also underline that very little can be taken for granted when it comes to the BAFTAs. Nobody will have been too surprised by nominations for long term BAFTA favourites like Judi Dench or Kate Winslet but there have been an equal number of BAFTA regulars overlooked this year, notably Pedro Almodovar, Renee Zellweger and screenwriter Alan Bennett who all have multiple previous nominations to their credit. One other notable aspect of the 2006 nominations is BAFTA voters' willingness to embrace commercial hits and mainstream favourites. The Queen, Casino Royale, The Departed (6 nominations), Little Miss Sunshine (6 nominations), Pirates Of The Caribbean: Dead Man's Chest (5 nominations) and The Devil Wears Prada (5 nominations) were all multiplex hits. 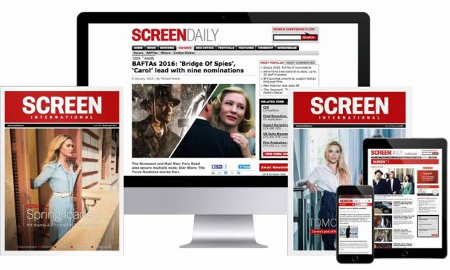 For more on the BAFTA nominees, see next week's Screen International.